« Real men are OK with pink.. Whether it is ever coming out, what it looks like when it does, how it managed to get (insert strange location here), whose turn it is to clean it up: these things have been fairly pervasive topics of discussion. Most of the time I think nothing of it – or perhaps I block it out. But today? 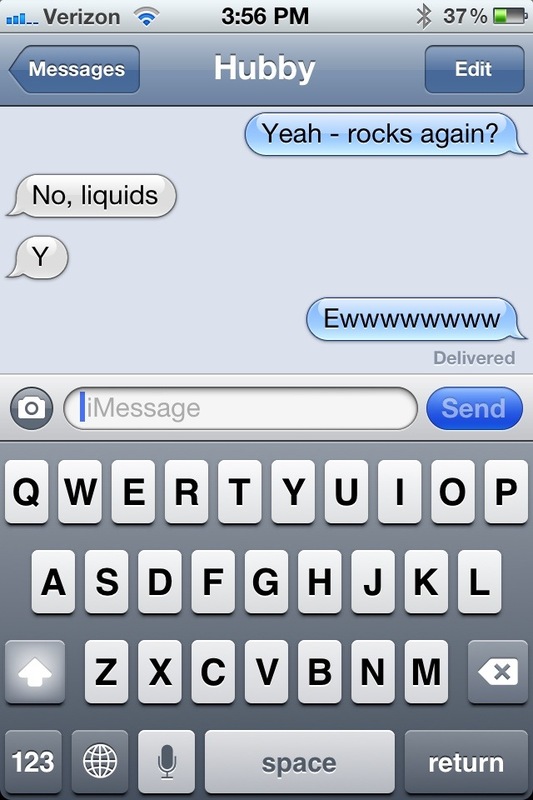 I caught myself texting about poop. I think we’ve perhaps reached a new low. I am pretty sure an intervention is in order, or at least a date night…with a nice glass of wine. Bleeeeech!!! Indeed. Good news. Mine are 8 and 10, you don’t have talk about it anymore at this point. But if you want to screw with their minds, you can. I have a whole post (not on this blog because it is seems weird to post it there) where I was trying to convince my son that girls didn’t poop, they sparkle. I am delighted to hear that this too shall pass… And I like the idea of the sparkle! LOL I am a nut. I have a video of him talking about it. I am laughing just thinking about that conversation. gotta love kids.